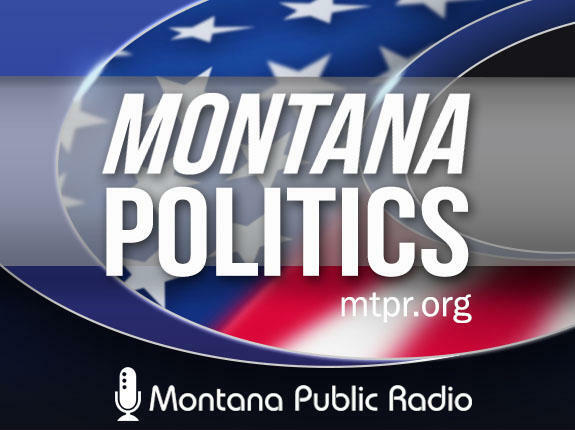 This week on "Campaign Beat," gun control: Montana's trickiest political issue? How lack of money is forcing some candidates out in both the House and Senate races, Senator Daines' criticism of UM over the Mike Adams controversy, and the Billings Gazette tete-a-tete with former Wisconsin sheriff David Clark. Listen in now. Rob, gun control has once again entered political debate after yet another tragic school shooting in Florida. And usually gun control is not an issue in recent Montana political campaigns as candidates both Republican and Democrat brag about their support of the Second Amendment. And in fact, at a recent forum in Missoula all five Democratic mostly progressive candidates for the U.S. House declined to support expanding background checks. But at least one of those candidates, Kathleen Williams, Rob, has since issued a strong rebuttal of the NRA in the wake of this week's mass shooting. Rob Saldin: Yeah, you know I think it's worth revisiting that Democratic forum in Missoula. You know, the first candidate up after a question about expanded background checks was John Heenan, and he said unequivocally that, no, that he would not support such a proposal. Instead he said he thinks the laws already on the books are sufficient and that they just need to be enforced. And then one by one, all of the other candidates gave exactly the same answer, and in some ways that's not surprising. I mean, I might have thought in a field of five that maybe you'd have one who would say they support this, you know, expanded background checks. It's not by any means the most extreme kind of position on gun control. It's something Jon Tester has supported in the past. But the other thing that none of the candidates did that I thought really stood out is that none of them took the opportunity to pivot and say, OK, so fine, I don't support background checks but let me tell you what I would support a very obvious thing to mention. I think if you wanted to go that route would be bump stocks, that's a device used in the Mandalay Bay shooting in Las Vegas, something the NRA has supported. But clearly none of the candidates wanted to touch even that low hanging fruit either because that's what they actually believe or because they made the political calculation that talking about gun control in any form is like quicksand in Montana. Nothing good can come of it. So that was where we were at just a number of days ago in Missoula at the Democratic forum. Since the events in Florida, Kathleen Williams is the one who I think has made the strongest move in a different direction. She did have some not nice things to say about the NRA. Said that she would support something being done on bump stocks, referenced some of her votes in the Legislature concerning guns on campus and things like this. Grant Kier issued a statement as well, although that seemed to basically be a repeat of what he said at the Democratic forum. SM: A focus on mental health issues not gun control. Yeah, exactly. And so I mean, I see no movement from him on that issue. SM: John Heenan had also issued a statement saying he refuses to take money from the "gun industry" but he doesn't mention the NRA. But he has backtracked a little bit. RS: Yeah, I suppose so, less dramatically I would say than Williams. Williams has basically said she doesn't care what the NRA says about her. And so that would be the place where we've seen maybe more movement than anywhere else, but still like most Montana Democrats she's far from claiming to be a big gun control advocate by any stretch. SM: And we should point out that the Montana congressional delegation basically have not changed their positions. Senator Daines and Congressman Gianforte remain opposed to gun control although Senator Tester would ban bump stocks and would do some background check expansion. RS: Yeah, no surprise on Daines and Gianforte, and I would say no real surprise on Tester either. He generally has been a pro gun rights senator, but as I mentioned before, back in 2013 I think it was, he did support some measures to enhance background checks and bump stocks. Again, that's just kind of the easiest one out there, it's something that even the NRA says they'd be OK getting rid of those. SM: Chuck, there have been a few, very few times, when Montana members of Congress have supported some kind of gun control. Chuck Johnson: Yes Sally, the first one was in 1968 when Sen. Mike Mansfield of Montana, the Senate majority leader, was one of the co-sponsors of the passage of a law that in fact banned the mail order sales of weapons. And it came in the aftermath of the assassinations of Robert Kennedy and Martin Luther King. Both of their assassins had ordered their weapons through mail order sales, and Mansfield won re-election in 1970 over a gun dealer at a sporting goods store, a guy named Bud Wallace, faced a difficult campaign on the issue but survived it, still won with 61 percent of the vote. And then Senator Max Baucus in 1993 and 1994 voted for two gun control bills that President Bill Clinton had advocated. One was the Brady Bill to require a waiting period and a background check before the purchase of handguns, and another was to ban semi-assault weapons. Baucus supported both of those measures. Bumper stickers started showing up on cars and trucks in Montana. That said "ban Baucus," and before long he retreated on those positions and he voted against the background checks in 2013 that Tester voted for, and that bill followed the shootings deaths of a number of school kids in Connecticut. SM: It may be the trickiest issue for Montana politicians to navigate and we'll see how it plays out in this campaign season. "It doesn't take a lot of money to run a campaign, but it does take some. I'm a successful business person but I am not rich, and I have talked about that time and time again. And the problem that I have with politics is, it's always these rich people or people that are willing to sell themselves out for anything and everything to get the money they need. We have not been raising money," Murray said. SM: Chuck this kind of echoes what Democrat Tom Woods of Bozeman said when he dropped out of the House race, just didn't have enough money to keep going. CJ: Yeah and it's a sad reality of American politics that you have to raise money to be a formidable candidate. Murray had only raised, according to the financial reports at the end of the year, $1,455. Like it or not, that isn't enough to even get elected to a Montana legislative seat. He also went on in his Facebook ad to attack three of the other Senate candidates Russell Fagg, Troy Downing and Matt Rosendale for raising tons of money from out of state. And he urged his supporters to back Al Olszewski, a Republican candidate from the Flathead and a state senator. SM: Meanwhile Senate candidate Troy Downing has a trial date set for two weeks before the primary, Chuck, on charges he illegally obtained Montana hunting and fishing licenses. And that cannot help his campaign to have this issue unresolved, and then to have it go to trial right before the primary. CJ: That's for sure Sally. I can't imagine his attorney won't try to get that trial date moved. It will just give added attention to the fact that, at least his critics say, he's not really a Montanan, and that he's lived in California and is trying to claim a Montana residency. And it's definitely not an ideal situation for him to have the trial then. SM: Right. Rob, both Congressman Greg Gianforte and Senator Steve Daines provided video remarks prior to conservative columnist and North Carolina professor Mike Adams' lecture this week at the University of Montana. Adams successfully fought being fired for his controversial anti-gay and anti-Muslim and anti-feminist statements, and the controversy followed him to UM when the Dean of the Journalism School Larry Abramson refused to sponsor his talk. Though Adams did end up speaking on campus. And in his taped remarks Senator Daines head sharp criticism of UM. SM: Well, first of all Rob, Adams did speak on campus. And secondly no one to my knowledge criticized Adams' religion, but rather his bigoted statements. RS: Right. Yeah, I'm not aware of any faith based issue concerning his appearance at UM. Now, that has apparently been part of his various controversies back in North Carolina, but wasn't, to the best of my knowledge, an issue with his appearance in Missoula. But, be that as it may, I mean, to me the thing that stands out is Daines' remarks indicate how this event essentially turned into a charade in which everyone reflexively claimed the moral high ground and then kind of smugly condemned everyone who was on the other side. And that's really unfortunate, because this is an important issue on college campuses and in our society in general, this issue of free speech, which ostensibly is what Adams was in town to talk about. And there really is reason for concern. I think that the spirit of free expression and the open exchange of ideas which are absolutely central to an education and to a free society that these things are being constrained in ways that are sometimes harmful. And so we should have a robust debate about this stuff and it absolutely of course needs to include conservatives. But the problem is that this particular speaker is just more of a provocateur than someone who is grappling with the issue in an intellectually serious way, and so it predictably devolved into a spectacle in which everyone was trying to score political points including all the way up to Senator Daines and Congressman Gianforte who typically do not give videotaped statements at the beginning of lectures on campus. So it was almost destined to be a situation in which everyone comes away from the episode even more certain and even more adamant that whatever they thought going in is totally correct and that people who disagree with them are all terrible. And in that sense, this was a real missed opportunity to engage a serious issue. SM: And of course, the harm - and Chuck you can join in on this too - the harm of suppressing free expression is weighed against the harm of hate speech and whether someone is inciting people to hate a group enough to do some harm to them. That would be the other side of that debate. CJ: Absolutely. And I think universities are in the best position to try to bring out the issue. You know, maybe have a panel afterwards with the speakers to counter other speakers. But this was not done, and the whole thing left kind of a bad taste with everyone I think, both sides. SM: Chunk, another controversial figure, former Sheriff David Clarke, is coming to Montana next month to address the Yellowstone County Republicans and he's already gotten into a war of words with the Billings Gazette editorial board. Clark, not to be outdone, wrote a reply. The headline was, 'Take off your hood Gazette editorial board,' and said it was a direct attack against him, which clearly it wasn't, said he didn't pass their liberal litmus test and on it went and there have been letters to the editor and the like. But this is another case where you've got a controversial speaker, and I would say, if anything, the controversy will probably ensure that it's a sellout crowd at the Republican dinner. But maybe there ought to be discussion afterwards about just what is Mr Clark's record as sheriff of Milwaukee County in Wisconsin and what is his record? SM: And of course he's so controversial he wasn't even able to get a job in the Trump administration which he had hoped to get. CJ: True. There is a lawsuit against him about the death of an inmate in the jail when he was sheriff there, and so it's very controversial speaker. SM: We'll, it's going to be an interesting spring when he and some of the other people come to Montana to speak. You've been listening to "Campaign Beat," our weekly political analysis program. I'm Sally Mauk and I've been speaking with veteran Capitol Reporter Chuck Johnson and University of Montana Political Science Professor Rob Saldin. Thanks guys and we'll reconvene next week. Montana Democratic House candidates talk guns during a candidate forum, Feb. 8, 2018. In the wake of the Florida school shooting, we’re taking a look at reactions and statements on guns from Montana's politicians and candidates for elected office. 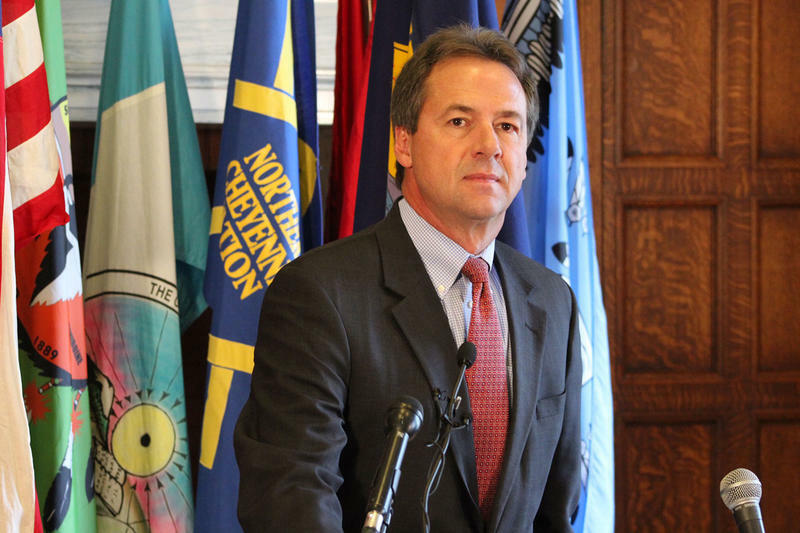 'Campaign Beat:' House Candidates Show Their Colors; Dark Money Hair Attack; Bullock For Pres? This week on "Campaign Beat" we cover candidate hairdos via a new Republican anti-Tester ad; talk about the moderate/progressive split on display at the Missoula Democratic House candidates forum; look at Governor Bullock's ongoing flirtation with running for POTUS; and discus Senate candidates James and Sarah Dean's odd disappearing act. Sally Mauk, Chuck Johnson and Rob Saldin unpack how Montana candidates — including the "least Trumpy" Republican — reacted to the State of the Union, parse the latest campaign finance reports, and talk town hall pledges and bikes in wilderness, on this episode of "Campaign Beat." Today on "Campaign Beat" we talk about Senator Tester's risky vote against ending the government shutdown; the healthy fundraising figures from Rosendale and Fagg; the political impact of the Bundy anti-fed movement in Montana; and a new twist on a classic Montana campaign photo. Listen in now on "Campaign Beat." 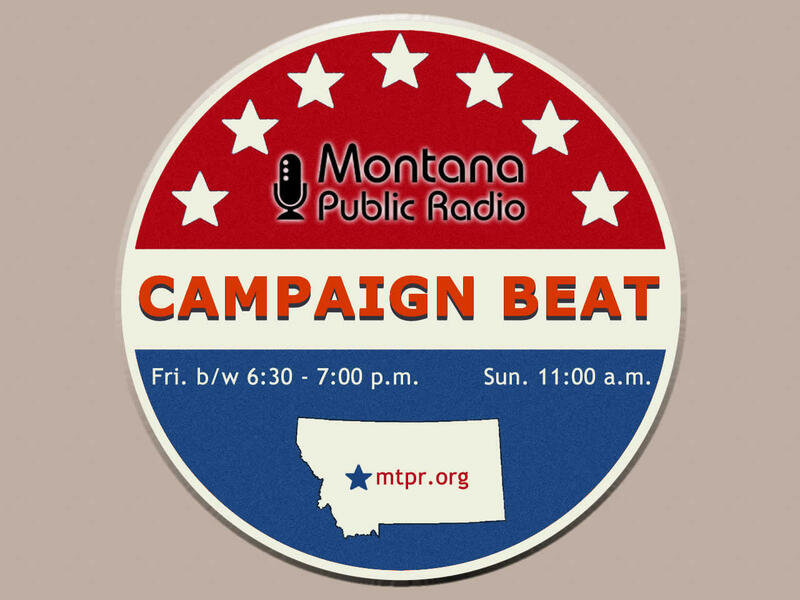 Today on Campaign Beat: outside consultants coming to Montana to work on campaigns; Grant Kier's new Facebook ad; the impact of the women's marches; Corey Stapleton criticizes the media; and Joe Biden's upcoming Montana visit.